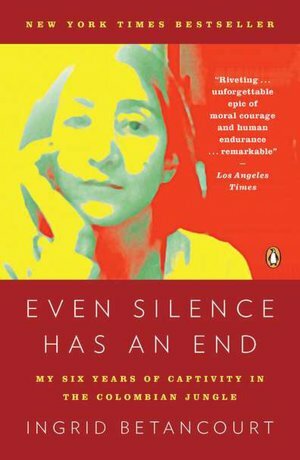 ... 2002 (10 years ago today), an author-activist who was running to become the President of Colombia, Ingrid Betancourt, was kidnapped along with her Vice Presidential candidate, Clara Rojas, while they were campaigning in the southern part of the country. Thus began what would be years in captivity at the hands of the rebel group FARC, or Revolutionary Armed Forces of Colombia – neither woman would be freed till 2008. A 2008 Le Monde story on the ordeal endured by the family of Betancourt, who holds dual Colombian and French citizenship, is here. Subsequently, they published separate, and at times conflicting, books about the hostage years: Rojas' memoir is at left; Betancourt's memoir is at right.